Can I receive a rate and availability quote, or make a change to an existing reservation via email? You may contact The Signature room reservations at 877-727-0007, 702-797-6000 or email SignatureMGMGrandInfo@lv.mgmgrand.com. Hotel policy allows a maximum of (4) four guests. If there are more than 2 people, regardless of age, there will be an additional charge of $35.00 plus tax per additional guest, per night. A security deposit of $100 per day will be required upon check in, with a maximum of $300. The Signature does offer room accommodations for the physically challenged with amenities ranging from roll-in showers to bathroom handrails. Please contact The Signature Reservations at 1-877-727-0007 or (702) 797-6000 for additional information. All of our rooms include the following amenities: Hair dryers, irons and ironing boards, and in-suite coffee/tea makers. All accommodations offer High-Speed Internet access. For more information, please visit our Suites page. We are sorry, but we do not provide transportation to and from the airport. You may contact our Concierge to assist you with booking shuttle or car transportation. They can be reached by phone at 702-797-6016. Our standard check-in time is 3:00 PM, however you may process your check-in upon arrival and store your luggage at the Bell Desk until your room is prepared. Your rooms are guaranteed to be ready anytime after 3:00 PM. You may have the option to check in early (prior to 1:00 PM), based upon availability. If you would like to guarantee immediate access to your room, we recommend booking the room for the prior night. Our standard check-out time is 11:00 AM. Please note that late check-out requests are based upon occupancy and availability on the date of departure. Does The Signature have Internet access in the rooms? Does The Signature have a resort fee? A $37 Daily Resort Fee plus applicable tax is applied to each hotel reservation and includes amenities that are sure to enhance your experience at Signature at MGM Grand Las Vegas. 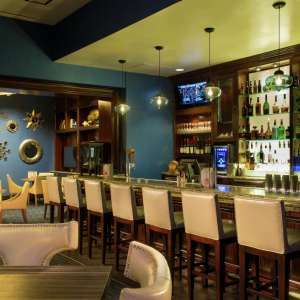 The resort fee includes: Property-wide high speed internet access (public spaces and in-room), unlimited local and toll free calls, airline boarding pass printing, notary service, and fitness center access for guests 18+. Does The Signature offer free parking for hotel guests? Guests of The Signature at MGM Grand receive complimentary valet parking for up to one vehicle per reservation. Parking for additional guest vehicles is available at the MGM Grand self-parking structure. For complete details on MGM Grand parking, please visit the MGM Grand parking information page. What is the minimum age requirement for check-in at The Signature? Guests must be at least 21 years of age to check in at The Signature. Does The Signature allow pets? We are sorry, but pets are not allowed on property, with the exception of assistance animals (those needed to assist the physically challenged). Guests wishing to board your pets while staying at the hotel may contact the Concierge for information. Yes. The Signature is proud to offer a state-of-the-art fitness center. Outfitted with the latest in treadmills, cross trainers, stair climbers and stationary bikes – along with personal flat-screen TV's and an extensive collection of free weights – you'll find centers located on the lobby level of Towers 1 and 3. Both centers are open 24/7. We do not have roll-a-way beds available but some suites do feature a sofa bed. These rooms are based upon availability; please contact the Front Desk for more information. Each of our suites comes with a refrigerator at no additional cost. Our Deluxe Suites offer kitchenettes with a mini fridge for storing items, and our One Bedroom Suites offer a full kitchen including a full size refrigerator. Late check-outs are available for a nominal fee and are based upon availability. Reserving an additional night will guarantee you access to your guest room until you depart. Please contact the Front Desk for more information. Does The Signature have a Business Center? Yes. The Business Center is located in Tower 1 and is open 24 hours daily. You'll find workstations with Internet access, the complete Microsoft Office suite of applications and printing capabilities. And once your work is complete, you can get it where it needs to go with our full shipping services. There are also kiosks available in Towers 2 & 3. Use of marijuana (weed), including but not limited to smoking, inhaling, ingesting, or using oils, lotions, or other transdermal introduction of, is prohibited at all MGM Resorts properties notwithstanding approval of recreational use in Nevada. State law prohibits use of marijuana in public places. 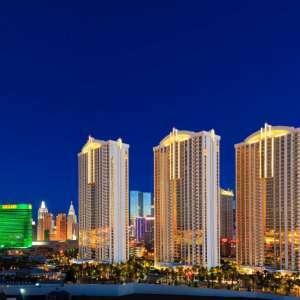 Use of marijuana is also prohibited in guest rooms at all MGM Resorts properties in Nevada, consistent with the discretion afforded private property owners under the State law authorizing use of recreational marijuana in non-public places. And marijuana use continues to be prohibited at MGM Resorts properties outside Nevada. Notably, all of our suites are non-smoking and therefore smoking of any substance in those rooms is prohibited. If marijuana in any form is observed, the property will take the necessary steps to ensure compliance with the law and Company policy. Signature is a non-smoking property. If there is evidence of smoking of any substance in your accommodation, you will incur a minimum deep cleaning fee of $500 charged to your hotel account. Yes. The Signature is proud to offer a state-of-the-art fitness center. Outfitted with the latest in treadmills, cross trainers, stair climbers and stationary bikes • along with personal flat-screen TV's and an extensive collection of free weights • you'll find centers located on the lobby level of Towers 1 and 3. Both centers are open 24/7. Please feel free to contact us with any comments regarding your stay by sending an email to signatureguestexperience@lv.mgmgrand.com. I left something at the hotel. Can you help me find it? Please use our Guest Hotel Receipt Request form or contact us at 702-797-6016. 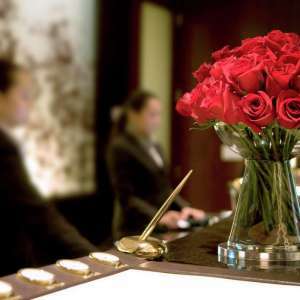 Allow our Concierge to make your stay incredible. Dining options to meet all of your needs.